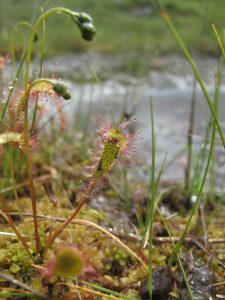 Ireland has some of the most significant areas of blanket bog in the world, and has international obligations to protect this habitat and its species. 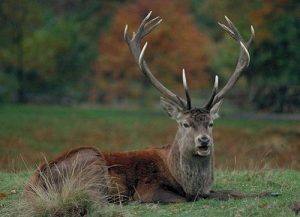 These areas are a key part of Ireland’s natural history and heritage and are rich in wildlife. The dry patches of boglands in Glenveagh are favoured by ling heather, bell heather, crowberry and blaeberry. The latter shrub, which has edible blue berries, is also known as bilberry or frochan. Other bog species are the common frog, dragonflies and damselflies, a variety of butterflies and moths, skylarks, red grouse, golden plover, curlew and snipe.